A cheque for CHF 1,111,111 was handed over to the Laureus Foundation Switzerland,aiming to improve equal opportunities among Swiss children and young people. 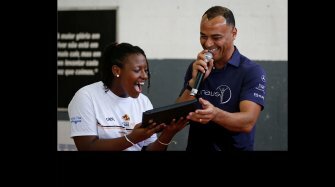 Every child should have the chance to shape their own future for the better and that is why the Laureus Foundation Switzerland devotes itself to charity sports projects such as "Laureus Girls in Sport" or "Laureus Cavallo", which set out to create equal opportunities for children in Switzerland. The foundation’s projects are centred around promoting exercise and integration among socially, financially or physically disadvantaged young people. "We are immensely proud to be a member of the Laureus family. 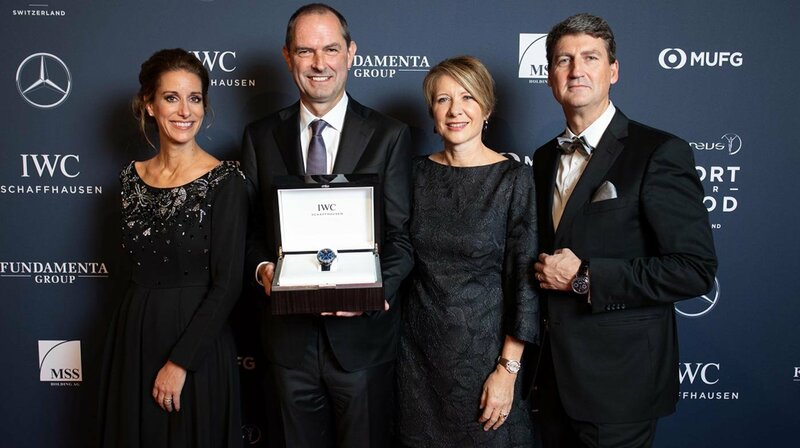 The staggering total raised allows the foundation to continue to support children and young people through sports projects, to inspire them and to create sporting moments they will never forget," explains Linus Fuchs, IWC Managing Director Switzerland and member of the Laureus Foundation Switzerland’s Board of Trustees. Laureus supports more than 10,000 children in Switzerland by way of four charitable sports projects per year. The Laureus Charity Night is the foundation’s most important fundraising event and has been held every autumn since 2007. On the 24th of November 2018, CHF 1,111,111 were raised at the 12th annual Laureus Charity Night, which was staged at Hangar Dübendorf. Approximately 650 guests – including numerous celebrities from the worlds of sport, business, politics and show business came together to raise funds for charitable sports projects run by the Laureus Foundation Switzerland, established by IWC Schaffhausen and Mercedes-Benz Switzerland in 2006. 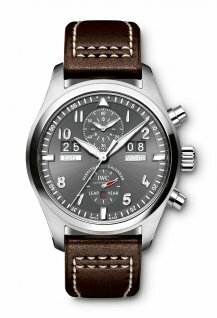 During the charity auction, the IWC Portugieser Perpetual Calendar Tourbillon Edition "Laureus Sport for Good" unique piece went to the highest bidder for CHF 215,000, while a Mercedes-Benz 300 SL Cabriolet (R107, 1989) raised CHF 110,000. Now in its twelfth year, the theme of the Laureus Charity Night was "family", highlighting just how important a sense of belonging and a strong support network are to the development of young people. The charity gala was hosted by TV sports presenter Rainer Maria Salzgeber, together with comedian Marco Rima. Members of the Laureus Foundation Switzerland council were joined at the event by numerous sports stars and other members of the extended Laureus family. Musical interludes came courtesy of soul singer Marc Sway and his band, as well as a surprise appearance from Swiss rapper Bligg. 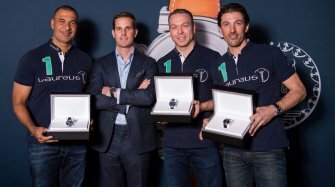 Besides some "money-can't-buy" experiences, gala guests also had the opportunity to bid for the Portugieser Perpetual Calendar Tourbillon Edition "Laureus Sport for Good" (ref. 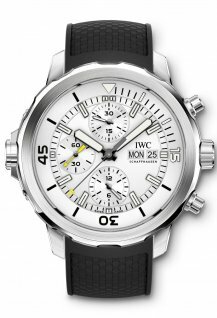 IW504502) donated by IWC. 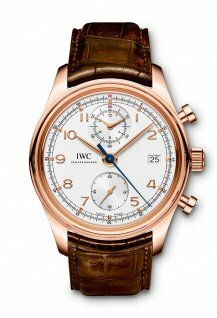 The unique piece combines a perpetual calendar with a tourbillon and is driven by a 51950 IWC-manufactured calibre. 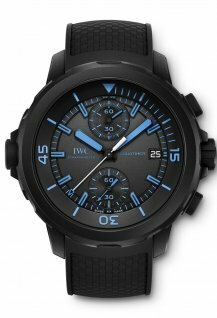 The exclusive Portugieser timepiece is housed in a platinum case and features a blue dial with a gloss finish and rhodium-plated hands. The transparent sapphireglass back provides a glimpse of the solid gold oscillating weight that allows the Pellaton automatic winding to build a power reserve of seven days. 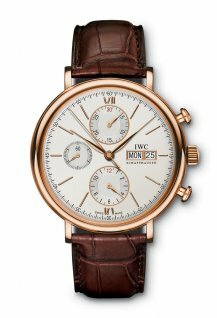 With a clear emphasis on technology and development, IWC Schaffhausen has been manufacturing timepieces of lasting value since 1868. 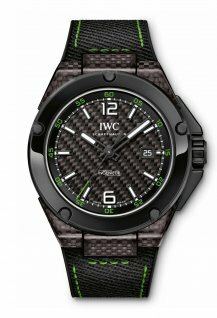 Its philosophy, based on a passion for watchmaking, aims to maintain a spirit of indefatigable initiative and impeccable craftsmanship.